Feeling bored and uninspired this morning, I decided to do an ‘image’ Google search on Corporate Social Responsibility. 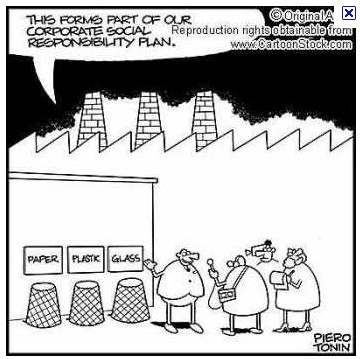 In addition to the obvious images like a green earth, flowers and bees, and flow charts with CSR strategies, the first search result page showed links to two Corporate Social Responsibility cartoons. 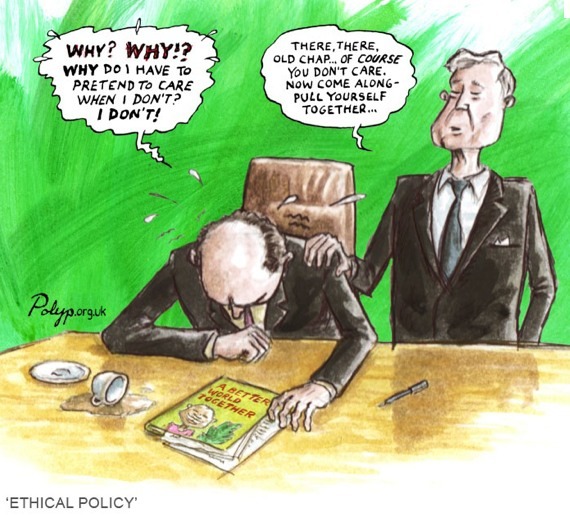 The first cartoon focusses on the attitude of directors in board rooms of the big corporates. The directors know they are expected to show to the outside world that they are serious about responsible business practices. However, they are not yet convinced about the real benefits. The second cartoon tells us that the CSR programs of some corporates still lack substance. The managment of these companies fail to take into consideration the business benefits of a long term CSR program and believe that sorting out waste is enough to keep the stakeholders happy.